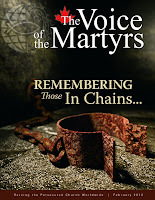 Remembering Those in Chains: The Apostle Paul’s admonishment in Hebrews 13:3 becomes even more relevant after learning about the deplorable prison conditions in the African nation of Eritrea, where an estimated 4,000 fellow believers are being forcefully confined – many held hostage in metal shipping containers that are unfit for humans. Criminal or Hero? : The increasing demand for newly printed Bibles cost a high price for this dedicated pastor in China. Yet his arrest and subsequent suffering was used to pave the way for despondent criminals to discover the enduring hope and power of Christ for themselves. Helping Families of Prisoners: God’s Word is never taken for granted by imprisoned Christians in Southeast Asia who will go to great lengths to share His never-failing truths, even if it requires secretly writing out verses on scraps of paper and tissue. This family is thankful that God actually honoured His Word through the help of VOM’s ministry and faithful partners! Cries of Truth Behind the Iron Curtain: Richard Wurmbrand, founder of VOM’s international ministry, provides captivating insights on the topic of suffering based on a child’s intuitive perception, while also drawing from the valuable life-lessons he learned in solitary confinement. Unashamed of His Chains: Early Christians like the Apostle Paul understood what it was like to be forsaken by others, especially when sitting alone in a windowless dungeon deep in the ground. Yet this particular friend of Paul’s was commended for proving himself faithful to the very end. Brighten Someone’s Day: Discover how you can be an effective carrier of God’s light to someone who right now may be languishing in a dank, dingy prison cell merely for following Jesus. Your words of encouragement can make a profound difference in a prisoner’s life and situation, giving them a ‘ray of hope’ for a brighter tomorrow. Soon Ok Lee was a prisoner in North Korea from 1987 to 1992. 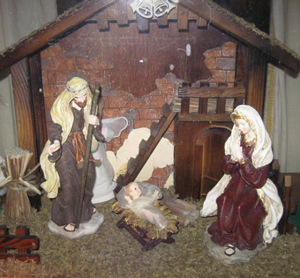 She did not become a Christian, however, until she escaped to South Korea. When she first received Christ, she was overwhelmed by her memories of what she had seen and heard in prison. It was the singing that stuck with her. Perhaps it was the singing of these precious saints that planted a seed in her spirit and eventually led her to Christ. Like spies, those who are curious about Christianity zero in on believers so that they can evaluate the truth for themselves. They observe. They watch. They take mental notes. Whenever Christians go through trials, these silent observers often hope to see the believers fall, so that they can assure themselves that Christians are like everyone else after all. However, when Christians smile through trouble, they are stumped. When believers clap instead of cry, they are amazed. When Christ followers sing amidst sorrow, they are drawn in by what they cannot explain. If you are going through a trial right now, you have an unprecedented opportunity to witness for Christ. Pray that your joyful example will inspire others. 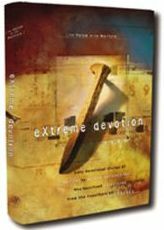 Excerpted from Extreme Devotion, a book of 365 true accounts of men and women who totally sold out for Jesus. You can order a copy of this book from our online catalogue or by contacting our office. You can also purchase Eyes of the Tailless Animals, a prison memoir written by Soon Ok Lee through the catalogue. Threats have been made by government officials to destroy a church property due to its affiliation with the Apostolic Movement, a fast-growing unregistered network of protestant churches. Pastor Bernardo de Quesada, a national leader of the church group, has publicly denounced an order from the Provincial Ministry of Housing that he and his wife demolish an outdoor covered patio, used by the church for meetings. The order directly contradicts written permission for construction of the patio issued by another government agency, which added that "permission for this type of construction is not necessary." There have also been complaints that the Cuban government is targeting the family members of its leaders. In one particular case, the electricity has been cut off from the home of retired military officer Lieutenant Colonel Orlando Porfirio and his ill wife, in what they believe is an attempt to put pressure on their adult son who is a worship leader. The elderly couple have not had electricity supplied to their home since October 9, 2012, and have received no response to repeated written complaints to government officials. 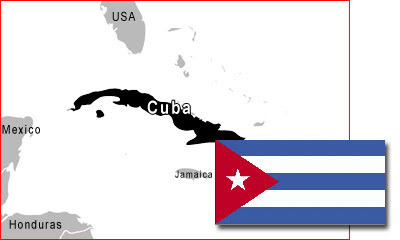 Church leaders in the Cuban city of Santa Clara have condemned the Cuban government's refusal to allow Trinidad First Baptist Church access to its bank accounts. The accounts for the historic local church, with funds amounting to approximately $27,000, were frozen by government officials in 2010. The majority of these funds were donated by churches abroad for essential repairs to the 105-year-old church, yet still remain inaccessible more than two years later. Additional penalties applied to the church before the retirement of its former pastor included a prohibition on any foreigner travelling with a religious visa visiting the church, non-authorization of the purchase of a church van, and refusal to issue permission for the pastor to leave the country in order to attend religious conferences abroad. May our all-powerful God mediate on behalf of Cuban believers by moving the hearts of political leader Raul Castro and his government officials in favour of granting them religious freedom. Pray that the church will arise from oppression becoming a tremendous influence on the entire nation and that great exploits would take place in their midst, including the divine healing of Pastor Reutilio. Join us at a VOM event this February to hear reports about the persecuted Church, learn how you can stand with those suffering, and fellowship with other believers in Canada. Sunday, February 10, 2013 10:30 a.m.
Sunday, February 24, 2013 8:30, 9 & 11 a.m. The Lord Jesus Christ used a particular strategy when he fed five thousand people who had followed him on foot from the surrounding towns. It was near evening, and the disciples came to him, asking Jesus to send the crowd away for the night. Jesus had a different plan, however. He had the people sit in orderly rows on the grass. After Jesus took the food and gave thanks, the disciples started at one end of the front row and went right along the front row giving everyone a helping. A preacher and writer, J. Oswald Smith, asks an unusual question at this point: “Did the disciples turn right around and start back along that front row again, asking everyone to take a second helping? Many Christians fear going to countries where no missionaries have stepped foot. It is far easier to remain in familiar territory. Yet Jesus commanded believers to go into “all the world” and find new locations where Christ’s name has never been proclaimed. Smith’s realistic interpretation of the feeding of the five thousand challenges our methodology when it comes to evangelism. Why are most of the people resources and financial budgets designed and directed toward people who have already heard the gospel? In fact, many of those nations are in danger of being overchurched, while other people groups lack a single Bible translated into their own language. Can your support help balance the scales? Can your life make a difference in tomorrow’s evangelistic efforts? VOM’s Greg Musselman will be one of the keynote speakers at this year’s Missions Fest event in Edmonton, Alberta. Greg will be presenting relevant issues concerning today’s persecuted Church, and the various ways we can effectively reach out to our suffering brothers and sisters in Christ. Dr. Kiflu Gebremeskel, a leading figure of Full Gospel Church of Eritrea, founder and senior pastor of Southwest Full Gospel Church and member of the executive committee to the Full Gospel Church of Eritrea, was arrested on May 23, 2004. He was taken from his home in Asmara Gejeret, at approximately 5 a.m. Dr. Gebremeskel was a mathematics lecturer, department and faculty head at the University of Asmara until 1999, when he became a full-time pastor at the Southwest Full Gospel Church. He has a Ph.D. in mathematics from Chicago University. His wife and four children have not been able to visit him. About 2,000 Eritrean Christians are believed to be under arrest because of their religious beliefs, held in police stations, military camps and prisons in 12 known locations across Eritrea. Dr. Gebremeskel is one of the 28 clergymen being held. Jailed Protestants are routinely subjected to physical beatings and severe psychological pressure to deny their religious beliefs. Police and military authorities continue to demand the prisoners return to one of the three “official” Christian denominations recognized by the government. But even the legally recognized denominations--the nation’s historic Orthodox, Catholic and Lutheran churches--have come under government disfavour, incurring threats and even jailing by security police officials. Please encourage Dr. Kiflu by writing him a letter! To compose a letter in Dr. Kiflu’s own language, please visit www.PrisonerAlert.com. To learn more about letter writing, click here. While visiting his family in Iran, 32-year-old Rev. Saeed Abedini, now an American resident, was imprisoned without notice of any formal charges. He is currently awaiting trial at Iran's notoriously brutal Evin Prison, where he has been incarcerated since late September of 2012. Family members residing in Iran (also Christian converts) are currently under house arrest. Fortunately, his wife Naghmeh, and their two young children, didn't accompany him during this most recent visit. Since moving to the United States in 2005, Saeed periodically travelled to the country of his origin to spend time with his family and oversee the development of an orphanage, a humanitarian effort he began years ago. 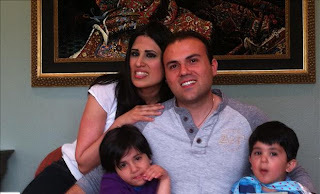 Prior to this, Saeed was the founder of a house church movement in Iran. Over the course of his involvement, the movement had about 100 churches in 30 Iranian cities with more than 2,000 members. "It was just growing so fast," his wife Naghmeh explains. "[Governmental leaders] see the underground churches as a threat and Christianity as a tool from the West to undermine them." Saeed converted to Christianity at the age of 20, after undergoing suicide bomber training by a radical Muslim group. The more he sought to be a devout Muslim and the deeper he went into training, the more depressed he became. "Christianity saved his life," Naghmeh adds. Yet when Saeed became a Christian, he became a criminal in his own country. May God arise and work mightily on behalf of Saeed's situation. Pray that angels will guard over this young pastor and his family, protecting them from further attacks, and that the Holy Spirit will act as their advocate throughout the legal process. Ironically, those involved in this case of imprisonment are themselves held captive by the rulers of darkness. May these perpetrators witness first hand the reality of Christ's glory and His delivering power in their own lives! While minorities, particularly Christians, are deliberately oppressed in Pakistan, an emerging political leader is bringing greater awareness of the need for positive change in this regard. (Go to the Pakistan Country Report for more about the treatment of believers.) Albert David, Chairman of the Pakistan United Christian Movement (PUCM) launched his new political party this past October, becoming the most visible guest in the city of Isalamabad during recent advent celebrations. He firmly believes that Christians should actively participate in national politics "to ensure their increased visibility and importance." Pakistani journalist and human rights activist Shamim Masih reports: "Mr. David was invited to 25 programs organized by different churches, social organizations and community groups, and the PUCM chairman availed himself during this wonderful time to not only share the message of Christmas, but also talk about the importance of the Pakistan Christian community being vibrant and visible in the national political scene. During his speeches, he focussed on the true message and spirit of Christmas, which he said included unconditional love, peace, hope and, most importantly, the sharing of joys with the less fortunate." As advocates of God's justice and mercy through prayer, we can rejoice over the fact that He is equipping and raising up Christians in various areas of leadership, even in the political realm. Pray for the Lord to grant these leaders wisdom, insight, protection and favour as they represent Him and serve as a voice for the oppressed, including those typically persecuted or martyred for their faith. May Albert David's voice be heard clearly by both the Christian community and the general public of Pakistan, serving as a catalyst for greatly needed positive change. 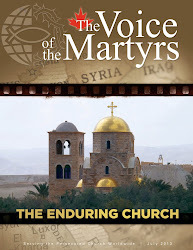 Tune in as Greg Musselman, Vice President of Outreach for The Voice of the Martyrs Canada, candidly talks with 100 Huntley Street television host Jim Cantelon about the persecution of Christians around the world. Greg also speaks of his newly released book, Closer to the Fire, Lessons from the Persecuted Church. In Canada, you can order a copy of this book from our online catalogue. You can also purchase this book through Amazon. Fritz felt each crashing blow to his head and prayed for strength. The Muslim attackers surrounded him and took turns beating him in the face. One of the Muslim attackers brandished a large knife thinking this would rid them of the Christian pastor. The first time the blade went into Fritz, all he could do was yell, “Jesus!” He was stabbed repeatedly. And each time, he yelled, “Jesus!” The attackers grew frustrated at the pastor who just wouldn’t die! The radical Muslims proceeded to pull the benches and pulpit from the church and set them on fire. Two of the Muslims grabbed Fritz and heaved him onto the blazing wood. Satisfied with their attack, they ran away. Fritz doesn’t remember much after that, but he knows one thing: Not a hair on his head was singed. Shortly after the attack, Fritz was brought to the largest hospital in that area of Indonesia, but he was refused treatment when they learned he was a Christian. He was brought to another hospital, but the attending doctor said that if he happened to live through the night, he would have permanent brain damage. Who doesn’t enjoy being thought of as the resident “expert”? It may be mechanics, mathematics, tools, carpentry, art, stamp collecting, or sports – everyone can be thought of as an expert in at least one area. We love to field questions on a topic with which we are very familiar. But if someone were to ask, “Who is this Jesus?” would we be as prepared as an “expert” would be? Not every Christian is an evangelist, per se. But every Christian can evangelize by sharing the plan of salvation when the opportunity arises. If you were asked that question by a non-believing friend, how would you answer? If you’re not sure, talk to someone who knows. 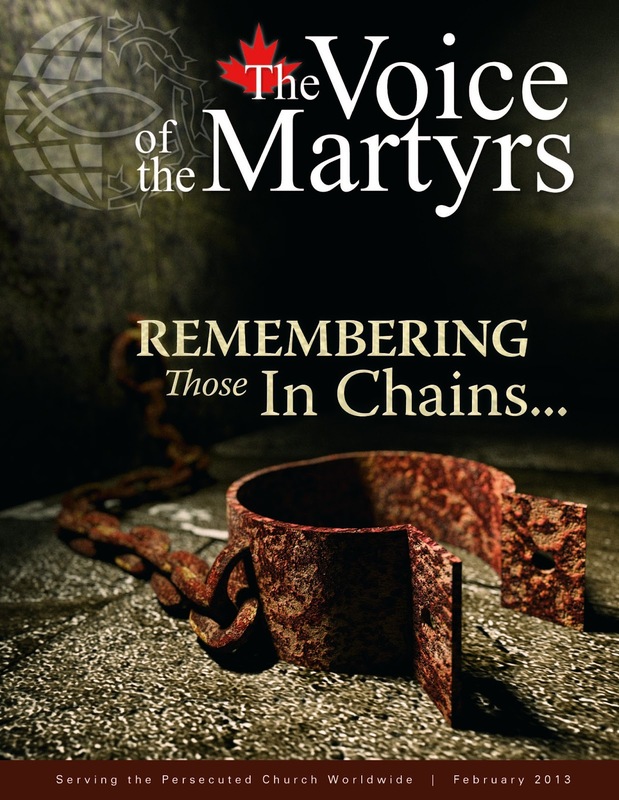 Speakers from The Voice of the Martyrs will be sharing stories from the persecuted Church at various events this month. If you're in the area, please be sure to join us! Sunday, January 13, 2013 – 10:45 a.m.
Sunday, January 27, 2013 – 9:15 & 11 a.m.
For more information, to view other upcoming VOM events, or to request a speaker, please visit our events page or contact our office.